The uses for plasma cutters continue to grow. Plasma cutting uses hot plasma (ionized gas) to cut through various conductive materials, including steel, Stainless steel, aluminum, brass and copper. A conductive material is one which allows the flow of electrons of any other charged carriers though it when a potential difference is applied across its ends. For metallic conductors, electrons are the charge carriers. When a potential difference is applied (plasma), they flow (conducting electricity), facilitating the cutting process as the metal is heated. Choosing the best plasma cutter can be difficult with so many options available. Fort Miller FAB3 in Schuylerville, NY, is one of the best metal fabrication shops and a top producer of plate and sheet metal cuts using plasma cutting. Below, we offer tips on how to choose the best plasma cutter for your needs. Determine its use. What materials will you be plasma cutting? What are the products you intend to produce from plasma cutting? Plasma cutters are amazing, versatile tools, but you need to make sure you buy one powerful enough to handle the jobs you will be doing. 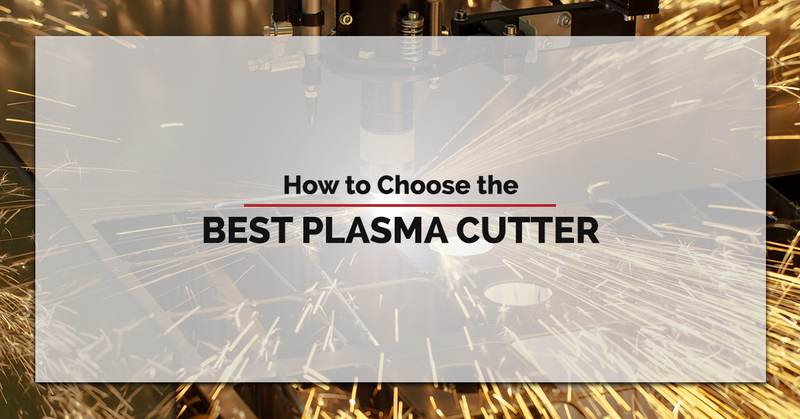 These questions will narrow down which plasma cutter is right for you. Consider the cutting speed. The cut rate will tell you how fast a plasma cutter can cut metals of varying thickness. Furthermore, one plasma cutter with higher amps will be able to cut metal faster than one with a lower current although both will get the job done. There are typically three cut ratings for plasma machines: rated, quality, and sever. This also tells you the thickness of the metal that the machine is capable of cutting. Consider how the plasma cutter will start. Most plasma cutters have a pilot arc that uses high frequency to conduct electricity through the air. The plasma cutter will start easier but the high frequency can interfere with nearby computers and equipment. High frequency cutters are cheaper and result in a more stable arc, but they are limited in the fact that they need to be started close to the metal with a scratch start. Weighing the costs of materials. Due to the nature of plasma, plasma cutting torches have many parts that need replacement routinely. If you are using a hand-held torch, you’ll have to replace the retaining cap, shield, nozzle, electrode, and swirl ring. All of these affect cutting performance once they begin to deteriorate. Logically, the less number of parts, the less parts you’ll have to replace, and the cheaper the overall costs will be over the long run. Some manufacturers give you an estimate on how long parts will last. Plasma cutters have come down in price, making them more affordable, and as a result, more popular. Plasma cutters have allowed for a level of consistency and precision that would be difficult to achieve using manual methods. Fort Miller FAB3 specializes in CNC plasma cutting for both carbon and stainless steel. We produce consistent quality cuts to your exact specifications and needs in a timely fashion. We take pride in our work and maintain the highest standards. If you’re looking for the best plasma cutters, contact us today!